Your upcoming film Dead Sea aka Black Lagoon - in a few words, what's it going to be about? A marine biologist travels to an inland salt water lake to investigate the drastic dying off of its marine life. She soon learns that it is actually because of a thought-to-be mythic creature which reappears every few decades to collect a human sacrifice so that the surrounding town may continue to exist. With Dead Sea being among other things a creature feature - a genre you're at all fond of? I'm not necessarily fond of the subgenre, per se, but felt that I could tell an interesting story, plus we are shooting it in and around the Salton Sea Area of California, which provides an interesting backdrop for this sort of storyline. What inspired you to write Dead Sea, and how did the project get off the ground? It's semi-inspired on the legend of Canada's OGOPOGO, particularly the notion that Indians used to offer the creature human sacrifice. How do you plan to approach your subject matter from a directorial point of view? Much like The Black Dahlia Haunting, from the point of view of a psychological thriller. I feel that even with "heightened" subject matter, there are always interesting stories to tell about human nature. We all have a past, and it can play into our day-to-day lives in unusual ways. No creature feature without special effects - so is there anything you can tell us about your intended creature effects yet? SyFy's own Monster Man, Cleve Hall, will be heading up the practical effects. There will be SOME CG, but extremely minimal. We're trying to make sure that the "fright factor" is brough in spades as well. I think something many modern films of this sort lack is the proper tension to actually make creatures scary. They're often looked upon as some sort of amusing, cheesy, circus sideshow and not as real films. What can you tell us about your intended cast, and why exactly these people? A few people from The Black Dahlia Haunting will be returning, as well as a few surprises. 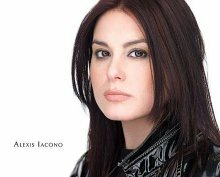 The lead character will be portrayed by Alexis Iacono [Alexis Iacono interview - click here], who portrayed Elizabeth Short in The Black Dahlia Haunting. She just happened to fit the type that we had in mind for this particular story, and can certainly bring it performance-wise. Now I am assuming that a film like Dead Sea involves quite a bit of underwater photography - would you care to elaborate on that aspect of your movie? Much like the CG, it will be used somewhat sparingly, but only to make it more effective. Quite a bit of the storyline entails what this "myth" surrounding the creature does to the townspeople, so much of the story obviously takes place above ground, though I can say that I do have some rather "unusual" ideas of how I want to approach the underwater photography. Hopefully it's effective. I think it will be. From what I've read, Dead Sea seems to be an "outdoors-film" - so what can you tell us about your intended locations? We are shooting primarily in the desert, in areas that some may look at as places that time forgot. We hope to make it feel almost like an alien world unto itself. 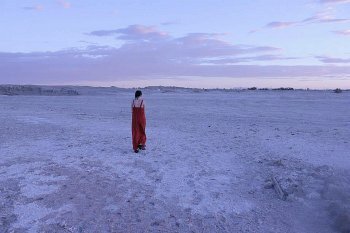 It might be waaaay too early to ask, but any idea when and where Dead Sea will be released onto the general public yet? We have distribution already in place. This is actually the first time I - as a filmmaker - have had that. I'm sure we will have numerous festival and convention screenings, as we did with The Black Dahlia Haunting, but as for the actual release date, that isn't necessarily up to us, but up to the distributors and store buyers... so we shall see. The Black Dahlia Haunting is getting pretty good placement, so hopefully the same will be in store for this film as well. Any future projects beyond Dead Sea? There are a couple, but I don't want to get too much into detail on them. As I've learned, things can get switched around at the drop of a hat.